11:00 am on Friday July 10, 17, 24 at Monroe Lending Library; Summer Program for Kids. We'll read and learn and have fun! 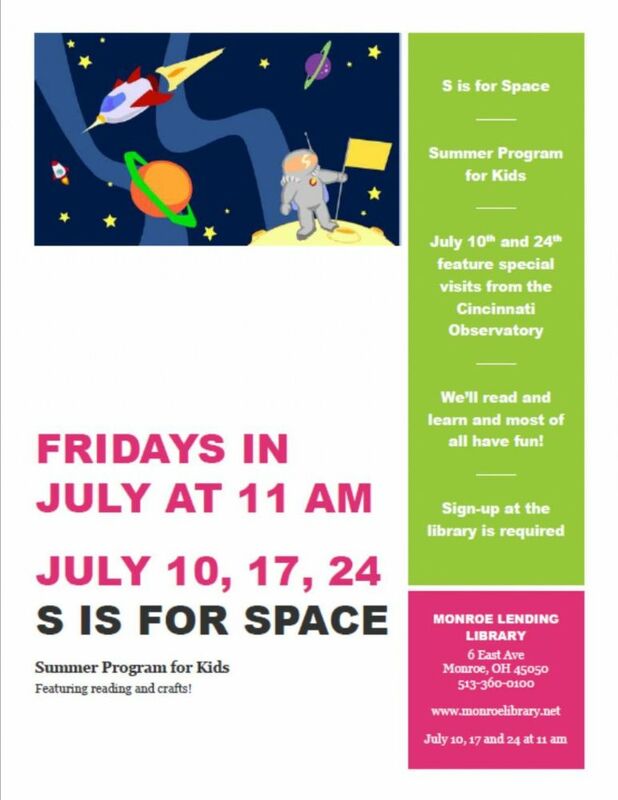 July 10th and 24th will be special programs presented by the Cincinnati Observatory. Please sign up at the library.